This week the teams headed to the famous Suzuka track for the Japanese Grand Prix. The weekend got off to a brilliant start with qualifying. Tricky weather conditions meant Ferrari struggled with their strategy on Saturday and driver Sebastian Vettel could only manage 9th place with a move to 8th on the starting grid following a penalty for Esteban Ocon. There was more drama for Red Bull driver Daniel Ricciardo in Q2 with power loss to his engine he was forced to push the car back to the grid and retire with a qualifying position of 15th. 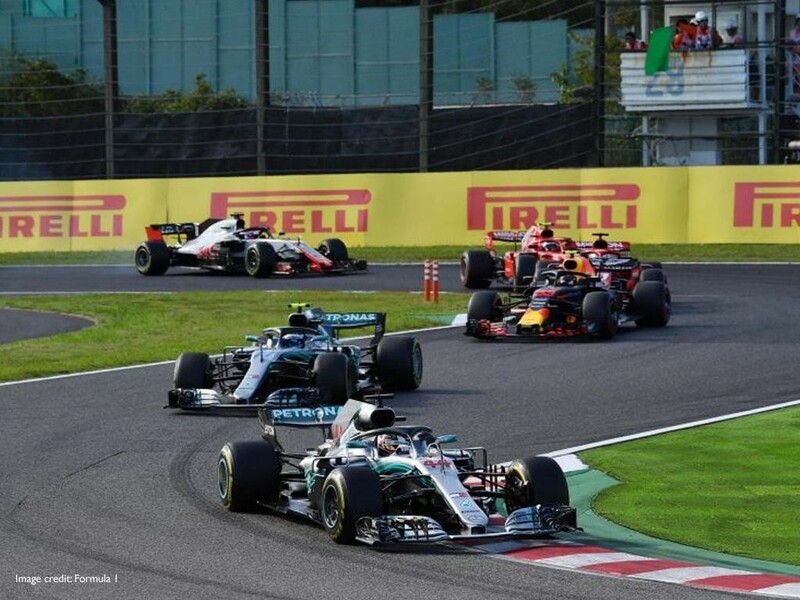 It was better luck for his teammate Max Verstappen who qualified third behind the two Mercedes drivers, with Hamilton clinching pole positions. On the Sunday the race was underway, Verstappen had a tricky start, on lap one he misjudged a chicane, breaking late and ended up going off the track, only to re-join and receive a five second penalty as he pushed Ferrari’s Kimi Raikkonen as he joined the race. On lap two there was a collision between soon-to-be Ferrari driver Charles Leclerc and Hass’ Kevin Magnussen on the start/finish line. Leclerc went for the overtake but Magnussen defended too late meaning Leclerc couldn’t break in time and ended up going into the back off the Haas driver giving him a puncture of the rear left tyre, causing the safety car to come out. However, the most memorable part of the race took place on lap eight when Vettel, who had made his way up to fourth, tried a risky overtake on Verstappen and the two touched. Vettel went spinning off the track and then had the excruciating wait to get back on the circuit, by the time he did the German was down to 19th and looked like he may have just put himself out of the race for the championship title. Max Verstappen closed the gap on Mercedes driver Valtteri Bottas and with five laps to go he was just 0.9s behind the Finn; but couldn’t quite manage the overtake and had to settle for third place. His teammate Ricciardo had a brilliant race working his way through the pack and finishing 4th earning himself driver of the day. 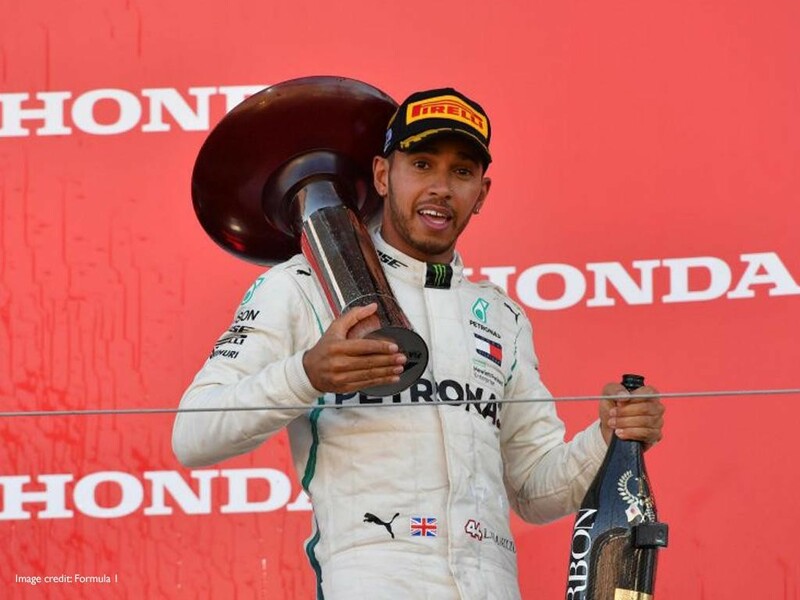 It was a smooth sailing race for the championship leader Lewis Hamilton who lead the race and took the top spot on the podium, extending his lead over Vettel to 67 points. This was Hamilton’s 50th win for Mercedes meaning he becomes the second driver in history to win 50 races for one team. Michael Schumacher sits in first place with 72 wins with Ferrari. It looks set to be Hamilton’s victory for another year but the question is will he dominate the remaining races? You can be part of the action too in our luxury Formula 1 hospitality suites. 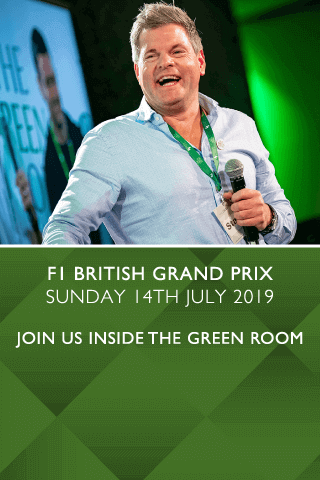 For the ultimate experience, The Green Room in motorsport makes its debut.